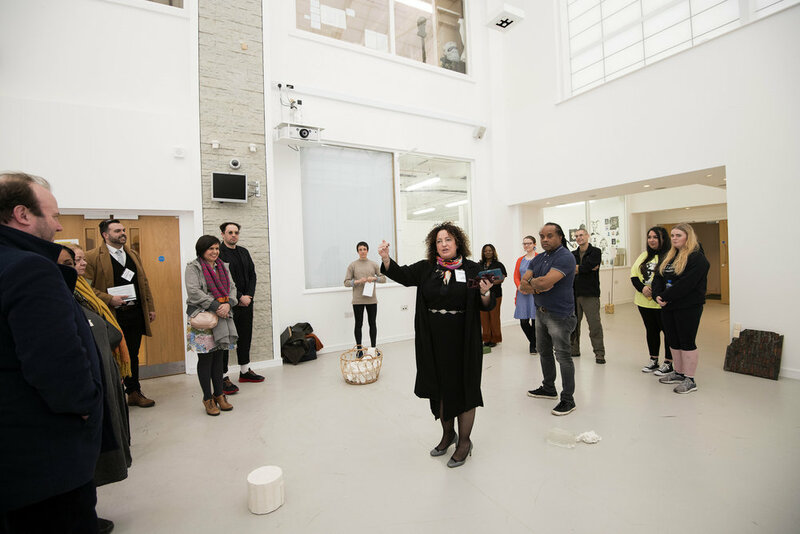 UCLan were launching a new initiative within the faculty of Culture & Creative Industries. It’s a huge school covering architecture, criminology, design, fashion, fine art, humanities, journalism, language, law, media, performance and social sciences. The new scheme was to create a network of Leaders from across all the fields - so they could share their experience, expertise and knowledge. They were inviting people who had made a “significant contribution to their chosen field” and - it would appear - me! Fast forward to this month and I have just attended the official launch event for the “Leaders in Residence” programme along with about 50 other creative industry professionals; including one of my fan girl faves, Patrick Grant (he of Community Clothing/Sewing Bee fame). I am still trying to evaluate how I feel about this. Proud - most definitely! - that I could be considered somebody who had achieved something within my field. For those that know me, I’m a little shy and not high on self confidence so this took some digesting. But now that I’ve had time to think about it more, my overwhelming feeling is of wanting to collaborate, help and inspire. The world, and the fashion industry in particular, are such fast changing environments that I can only imagine how daunting the options must seem to students now. Any little thing that I can do to help, would make me very happy indeed. But it’s not a one way street. At the event last week we had a tour of some of the departments. 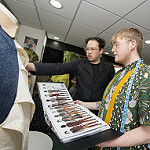 As expected I found the Fashion department to be really inspiring and it was lovely to see how final year students were progressing with their Final Collections with less than 8 weeks to go. There were equally amazing displays all around. But the stand out for me, was a media presentation on the Graphic Design floor that was a pitch for an advertising campaign for a famous brand of ketchup. It was streets ahead of most of the campaigns you see out in the real world and it just highlighted to me the fresh and innovative ideas that students are filled with. This programme comes at a critical time. In the final session, a small group of us were discussing the problems created with the eradication of many creative subjects from the school curriculum. That’s a topic for a whole other post some time!! Creative workshops and classes are being offered by the private sector but that means that there will be whole groups of children growing up without the chance to experience what it feels like to create for the sake of it and the pleasure that you get from this. How will children know if they love sewing if they never get the chance to use a sewing machine? The creative industries play a huge part in the UK economy and it’s a rapidly growing sector. The Department for Culture, Media and Sport recently reported they have smashed through the £100 billion a year mark in delivering to the UK economy, growing at twice the rate of the rest of the economy. When the current political and economic landscape looks so challenging it’s easy to see why creativity should be encouraged to thrive. I am amazingly proud to be able to say I am a Leader in residence at UCLan at a time when the joy of creating has never seemed more important. I will keep you updated on the progress and any future collaborations I am involved in. 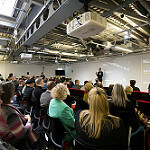 If you would like to learn more about UCLan Leaders in Residence visit here.